“Stop!” I screeched at my husband as he scrambled over granite rocks looking for the perfect place to rest. 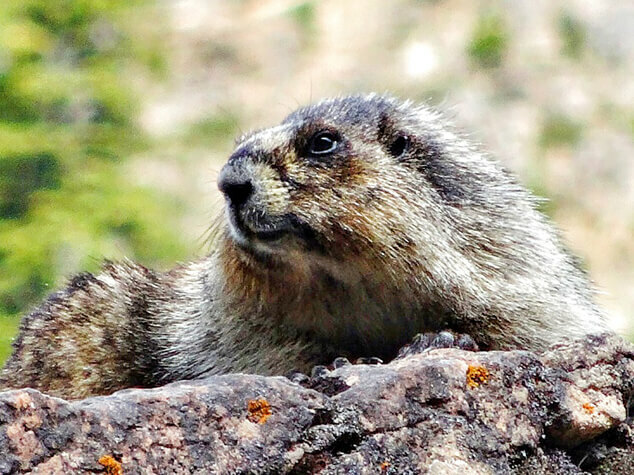 “There’s a marmot right above you!” Colin looked up at golden-mantled ground squirrel and kept walking, knowing he was far enough away not to startle the squirrel. My mind started its internal commentary. He can’t possibly think that squirrel is the marmot. Why isn’t he listening to me? I tried again. “The marmot is right above you!” I whispered as loudly as I dared, trying to get my camera out before Colin scared the marmot off. Riders say a horse is dead-sided when it ignores your leg cues. 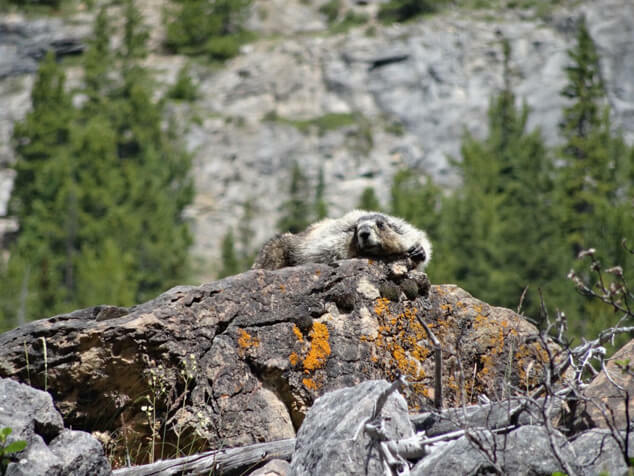 I was watching the human version of this phenomenon as Colin ignored my verbal cues and proceeded to walk within ten meters of the marmot before finally finding the perfect rock for his rest. I clicked off several pictures of the marmot that surprisingly hadn’t moved from his perch and I sprinted up to Colin. I wasn’t sure I believed him but I’m pretty sure that marmot was a male following the guy code of having each other’s back. I had my picture, Colin got his rest, and the marmot got a little human drama. 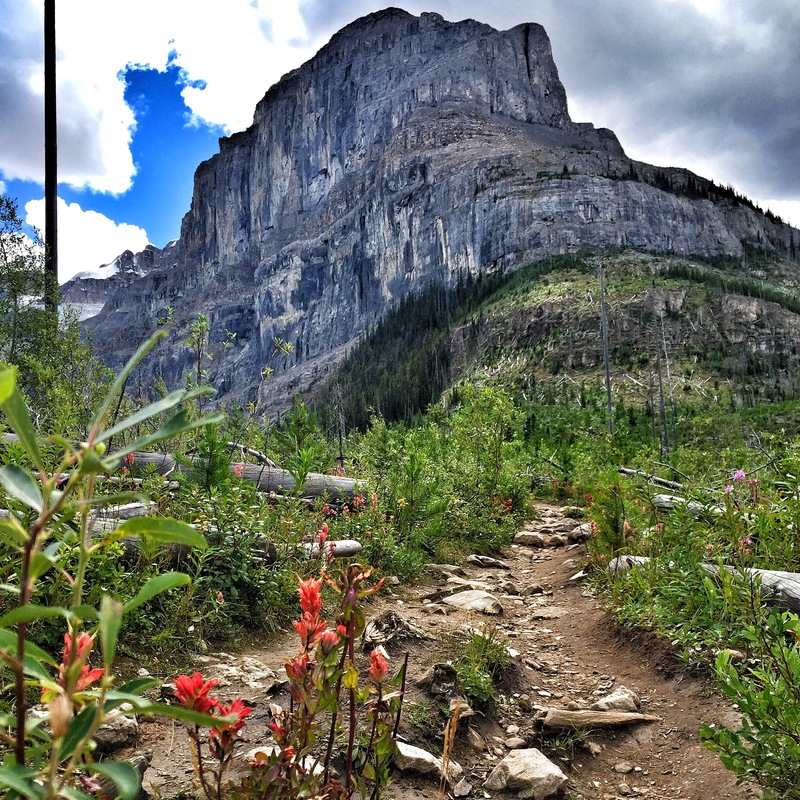 The Stanley Glacier hike in Kootenay National Park is an outing that gives maximum value for your time outdoors. From the time you step out of your car in the crowded parking lot until you crest the rock scree below the receding glacier there are dozens of eye-popping views worthy of an Instagram post. 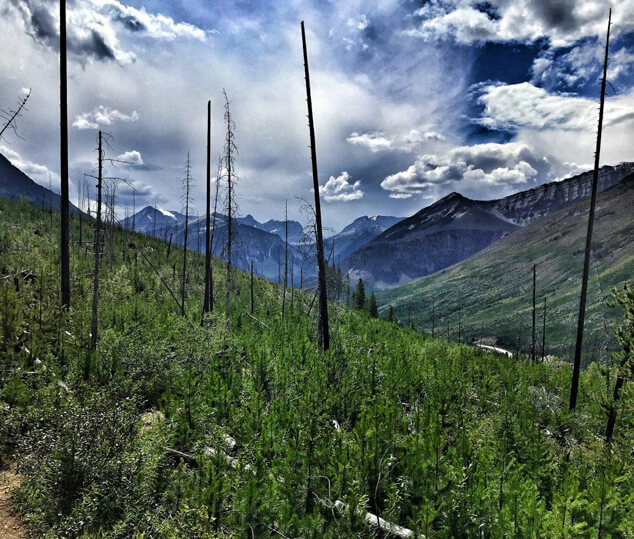 There is also a good chance of seeing hoary marmots, the largest species of North American marmot. It is found above tree line which means you have to work for your sightings but at Stanley Glacier you can reach marmot habitat within a couple of hours.